Marcia Rosenberg’s Animal Advocacy | The sole purpose of this website is to provide a location for published articles and news videos regarding Marcia Rosenberg’s animal advocacy. 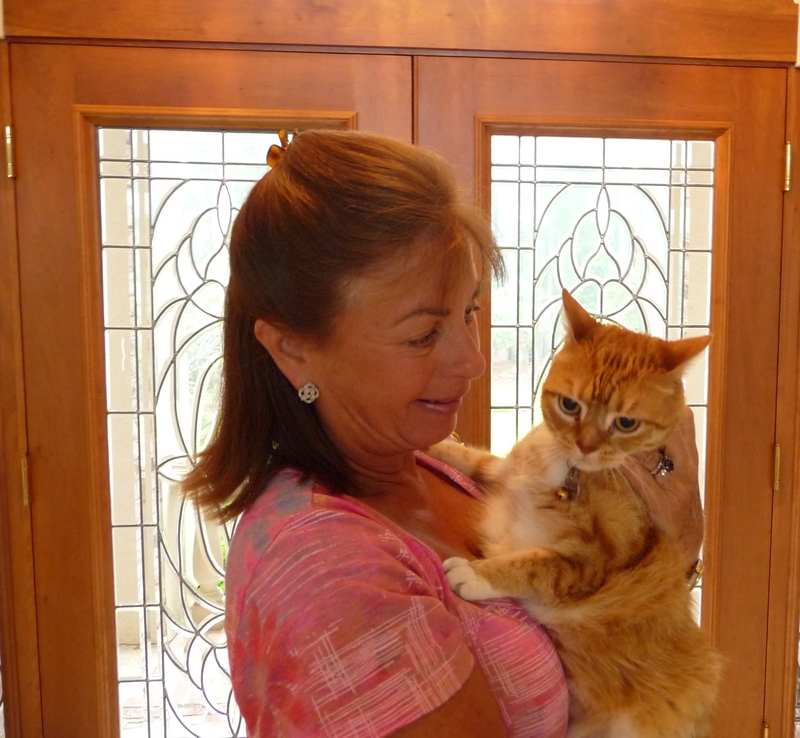 This website tells the story of Pumpkin, the cat, and her owner, Marcia Rosenberg. I brought my rescue kitten Pumpkin to Dr. Stanley Gorlitsky for a routine spay procedure in June, 2000. I had recently moved to Mt. Pleasant, South Carolina and researched local veterinarians so that I could choose wisely the vet who would care for my beloved pets. Unfortunately, relying on misleading and false information, I chose Dr. Gorlitsky. Pumpkin’s surgery was anything but routine. Had I not taken her to a second veterinarian, who performed life-saving surgery, she would have died. I am happy to tell you that Pumpkin survived and as of this writing, is now 12 years old. I told several people what had happened and started hearing disturbing stories about Dr. Gorlitsky’s practice. Within days, I received a document showing that Dr. Gorlitsky’s license to practice veterinary medicine had been suspended by the State of Ohio in 1989 after he had been found guilty of “gross incompetence”. That suspension was what prompted his move to South Carolina. While practicing in South Carolina, Dr. Gorlitsky had dozens of complaints filed against him with the South Carolina Board of Veterinary Medical Examiners (Vet Board), none of which were made public. The law, at that time, favored protecting his reputation and prevented the public from knowing anything about his complaint history. This was despite the fact that the Vet Board knew of his history in Ohio. After several years of intense involvement with the Vet Board, I was instrumental in seeing Dr. Gorlitsky’s license suspended for one year. I persevered, and was delighted to see him lose his license to practice veterinary medicine in South Carolina. When people would hear my story, they would always ask, “How could he have so many complaints without anyone knowing about them?” This sad situation for pets in South Carolina had to change and I was determined to see it done. It was another several years before I achieved my goal, but finally I saw the new Veterinary Practice Act allow for public disclosure of a veterinarian’s disciplinary history. Postings of such documents are now routine on the Vet Board website for all to see. In addition, all veterinarian disciplinary hearings are open to the public—they are no longer held behind closed doors. Transparency is a wonderful benefit to the public. Dr. Gorlitsky continues to hold a veterinary license in Ohio, despite his very lengthy disciplinary history. I say, “Shame on you Ohio”. However, to the best of my knowledge, he no longer practices veterinary medicine anywhere. He splits his time between his homes in South Carolina and Florida and maintains a website where he sells his “holistic” remedies for various pet ailments. His website does not have his name appear anywhere so that the unsuspecting public cannot associate him with these “remedies”. News videos and newspaper/magazine articles which detail Pumpkin’s story are made available through this website.